Frameless is a borderless, captionless image viewer with commandline options for display placement. MiniCap is a screenshot capture app with great commandline support, including the ability to capture by pid, handle, program name. Interactive mode including scrolling capture and support for different formats with automatic naming and versioning. CommandBurner is free CD/DVD burning software utility that can be executed from the command line, as well as through a simple interface, making it suitable for integration with programs, scripts and batch files. Change your mouse acceleration and speed settings via commandline. FilenameFilters you can use in your own Java programs with File.list( FilenameFilter f ). They can also be used standalone as fancy dir commands. Also includes CommandLine to parse command line and collects directory trees. RunWithParameters allows running any application with a parameter, without going to the command-prompt. Integrated into the shell, a right-click on an executable launches a pop-up window where the user enters a parameter. Make mulitple Backup's from one folder to a destination folder. Each backup is stored in a subfolder of the selected destination folder. Use commandline for silent copying. Add custom messages. All versions of Microsoft Outlook support commandline switches, most of the switches are used to resolve some problems with Microsoft Outlook. OutlookParameterGUI will make this task a lot easier. 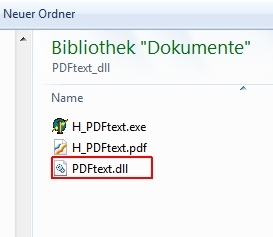 PDFtextCmd - A commandline-exe for your pdf-files... Royalty free! All pdf-specs! Extracts the text-content of pdf-files. As an automated text-export into a generated file and as clipboard-content. For all scripting (bat) and programming languages. Print HTML from a command line. Send output to any printer.